THE PANTRY PANDA: Brussels Sprouts with Apples and Almonds. Roasted Sweet Potatoes. 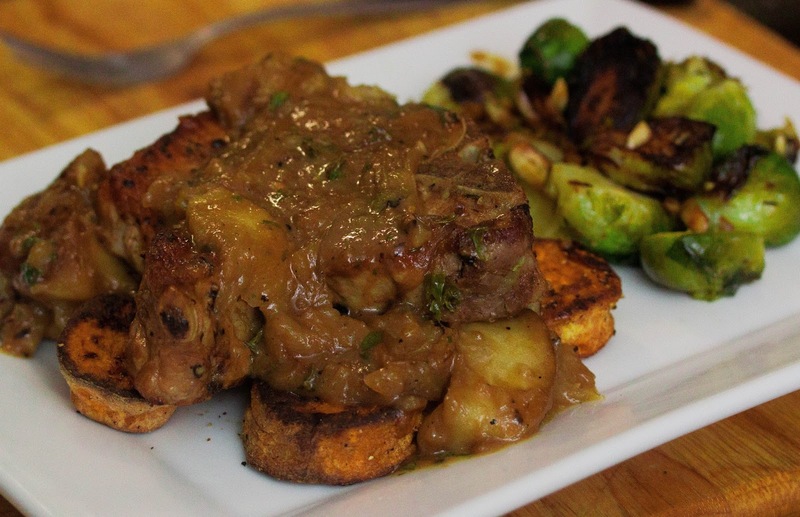 Smothered Pork Chops with Cider and Apples.